Here I am, still having fun going through my old book journals. I'm being reminded of series that I really enjoyed, series that I meant to keep reading (and didn't), and series that I stopped reading. This week has examples of all three, so let's get started! When I started to become serious about reading crime fiction, Marianne Macdonald's Dido Hoare series was one of the first that I sampled and enjoyed. 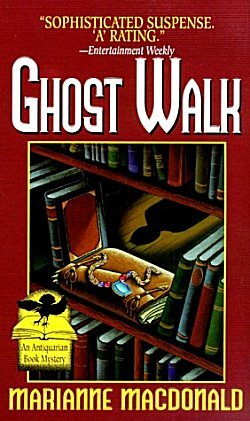 Ghost Walk is the first book in the series. Dido is a dealer in rare books, a single mother, and-- at the beginning of the series-- a daughter who shelters her scholarly father's tender sensibilities. Besides the milieu of the book world, I liked Macdonald's plots, her characters, and in particular the way the character of Dido's father grew over the course of time. There are eight books in the series, which were written between 1996 and 2006, and I was sorry to see it come to an end. One of the things that I remember about this series was constantly telling people how to pronounce the main character's name. She certainly has one of the most unusual monikers in the business! How did I rate Ghost Walk? It was an "A." 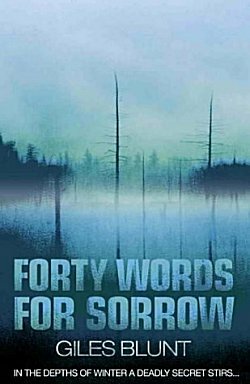 Giles Blunt's Forty Words for Sorrow is the first book in the John Cardinal police procedural series set in Ontario, Canada. The six books have won multiple awards, and I can see why just from having read the very first one, which I rated an "A." John Cardinal was demoted to the burglary squad for his excessive zeal in pursuing the missing persons case of thirteen-year-old Katie Pine, but when her badly decomposed body is found, he's given the go-ahead to re-open four cases-- because Katie isn't the only child to go missing in the rural setting of Algonquin Bay. Forty Words for Sorrow has a profound sense of place, a strong plot, and multi-faceted characters. I have no idea why I didn't continue with this series, but I can tell you that I have ordered the second book, The Delicate Storm. See? There's more than one reason for taking a look back from time to time! 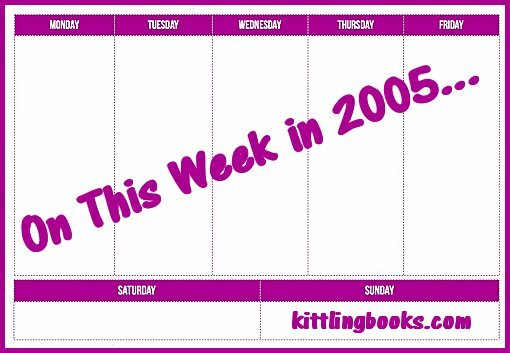 Owen Parry's Faded Coat of Blue was one of my "A+" reads for 2005. The main character, Abel Jones, is a Welsh immigrant and a veteran of some bloody battles as a former soldier in Britain's Indian Army. 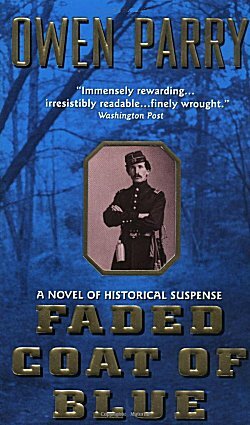 Now he's recovering from wounds suffered during the first battle of the American Civil War, and more than a little shocked when General George B. McClellan takes him off desk duty to investigate the murder of a Union soldier. Parry's sense of time and place is fantastic, and he does not use revisionist political correctness which can sometimes throw me right out of a story when I know the time period well. When Jones assesses people, he does so with typical period attitudes toward national or racial backgrounds. However, the man is such a lion for justice for all humankind I can easily forgive him for not thinking in accordance with my twenty-first century attitudes. Faded Coat of Blue was an excellent start to the adventures of Abel Jones, and I enjoyed every one of the six books in this series. 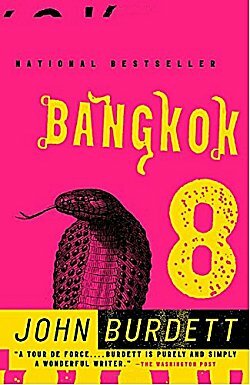 John Burdett's Bangkok 8 (rated "A") was my first introduction to crime fiction set in Thailand, and it made quite an impression-- in fact, the opening scene of the book is still stuck in my brain! This six-book series is told from the point of view of Sonchai Jitpleecheep, a police detective in Bangkok, and this immerses you in Thai culture without making you feel as though you're drowning. Well, I didn't feel as though I were drowning for the first three books, but one thing I did notice as the series progressed was a growing disdain for all farang (those of European ancestry no matter where they come from). Normally it does not bother me to read books that are critical of my national or racial background, but this element kept growing and growing until I reached my saturation point at the beginning of the fourth book. Part of me feels a bit guilty at abandoning the series because it is very good. One of these days, I may recover my equanimity and go back to reading these books. It's not easy to write from the point of view of a character of another race and culture. John Burdett does it well, and I can't help feeling deprived by not reading about the investigations of his Thai police detective. Have any of you read any of the books in these series? If so, what did you think? Or... are they new to you... and have I persuaded you to take a look for yourself? Inquiring minds would love to know! It is interesting, isn't it, Cathy, how we can re-discover authors. I like Giles Blunt's work, and I hope you'll enjoy the second in that series. You make an interesting point about Burdett's series, too. Hmm.... I'll have to think about that. My reaction to Burdett certainly doesn't happen very often, but I thought I should shine a light on it for this post. You've convinced me to add the Owen Parry series to my TBR list, and reminded me that I meant to get back to Giles Blunt after reading Black Fly Season (the third in the series borrowed from a friend's bookshelf). Please keep writing these "looking back" posts!